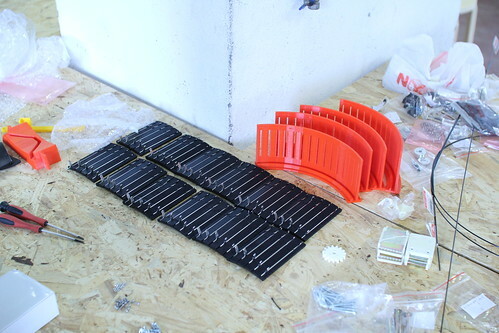 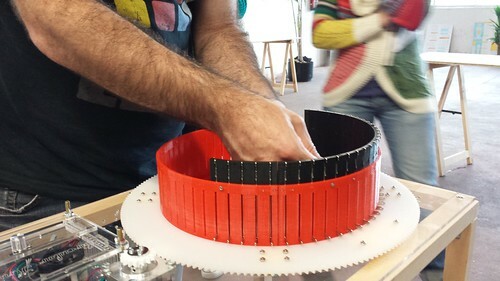 We held a workshop of Circular Knitic machine at WeMake in Milano (7th Feb’15). 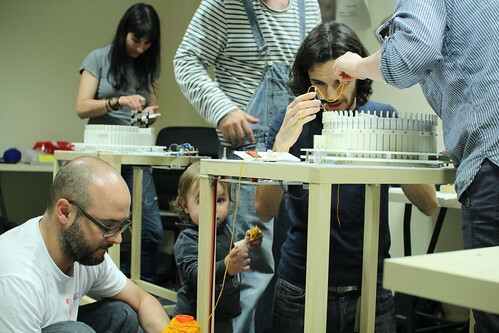 The participants were assembling 3D printed and laser cut parts together, soldering electronics, making some carpentry, and in the end of the day also knitting! 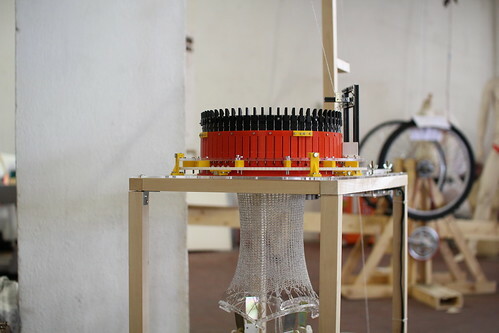 Circular Knitic is an open hardware knitting machine made with available digital fabrication technology, all files can be found in our github. 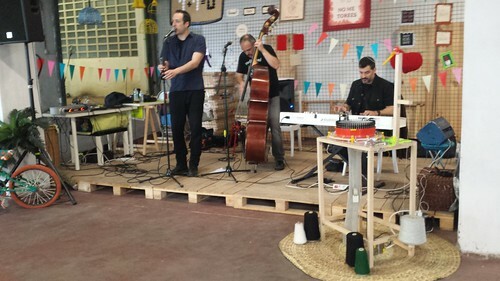 Video and some photos by WeMake.